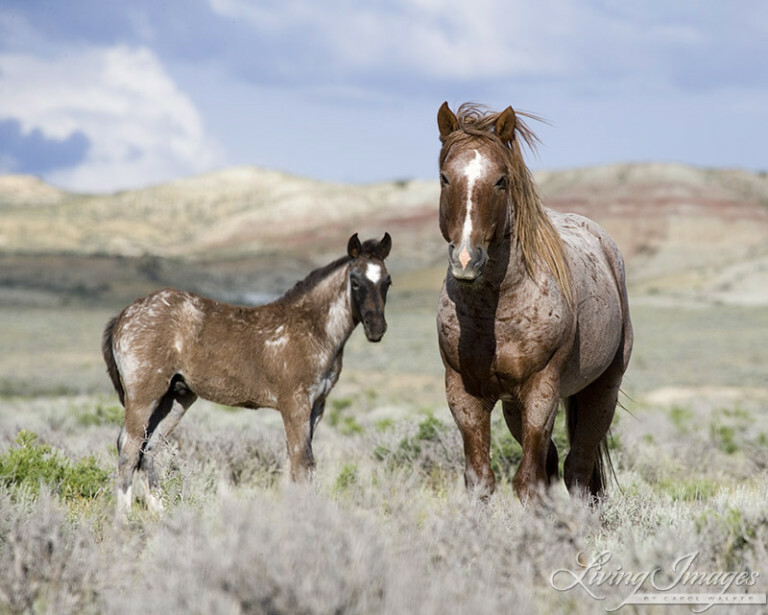 The Bureau of Land Management (BLM) recently proposed a series of options that would drastically reduce the number of mustangs on public lands. Some horse lovers think the plan would be too effective and wipe out the animals completely. The options include offering people $1,000 each to adopt a horse, reducing restrictions on adoptions—including allowing people to buy them for horsemeat—sterilizing them and killing them. The BLM said a combination of those options should reduce the American mustang population by 69 percent over six to 12 years. Wild horses have been a matter of intense public debate for decades. Cattle ranchers believe that the horses are an invasive species, which damage the landscape. The ranchers benefit from having the horses removed so they can put cattle, which are invasive, on the land. “According to the law, the cattle are permitted,” Bob Skinner, former president of the Oregon Cattlemen’s Association and current vice president of the Public Land’s Council, told Newsweek. “It was to be used for grazing to supply the country with meat and income. The horses just kind of snuck into the picture.” Skinner also argued that horses are more destructive to the landscape than cattle. But horse advocates say the horses have just as much of a right to be there, and renting the land at subsidized rates to what they call “welfare ranchers” primarily benefits the billionaires in the 0.01 percent. Still, as the BLM estimates that care and control for the horses costs taxpayers $50 million a year, horses find themselves rounded up, adopted out and sterilized. 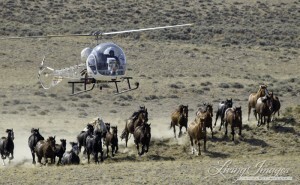 Debbie Coffey from the Wild Horse Freedom Federation, who has filed 130 Freedom of Information Act requests with the BLM, said the bureau estimated that some herds had increased 750-1,250 percent—numbers that she found misleading. “That’s biologically impossible, that’s absurd,” Coffey told Newsweek. “Stallions aren’t having babies!” Only breeding-age female horses can have roughly one foal per year. But the population, unchecked by the native predators that people have eradicated, has increased as their range has shrunk. The BLM estimated that there were 72,674 wild horses and burros on public land; Coffey contested that number. The BLM hopes that some combination of its plans to lift restrictions on adoption and/or sterilizing and/or killing animals could reduce their number to “appropriate management levels” of 26,715. A number of wild horse advocacy groups believe those approaches are misguided and have signed a document describing what they believe are better solutions. 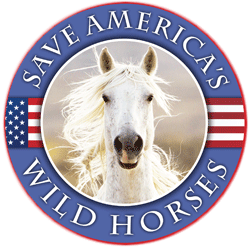 The Wild Horse Freedom Federation said a better plan would be to reduce the amount of rangeland given to ranchers so that horses can reclaim the range that they had in 1971: 53.8 million acres, as opposed to today’s 26.9 million. The federation suggested that the BLM use offers from the public to help promote horse adoptions, and also reintroduce native predators. Those groups claim that such a drastic reduction in horse populations wouldn’t leave enough genetic diversity and viable, reproducing adults to continue having mustangs running free for future generations to enjoy. With such a reduction, they argue, mustang herds will become too small, forcing them to inbreed and become weaker—and die off. Skinner disagreed, saying that if a method reduces horse populations too quickly, they can always discontinue and allow the horses to repopulate. 1.) Cattle and sheep are permitted, and so are wild horses and burros. 2.) Cattle and sheep are invasive species, no argument. 3.) No horses “snuck” into any picture, N. America is their ancestral homeland, DNA shows existence here ca. 400,000 years to around 700 years ago. 5.) Wild horses and burros were in fact protected precisely because the public stepped in to prevent their wholesale slaughter by private interests on public lands. 6.) The permit grazing system cannot make a fiscal argument they are sustainable, self-supporting, or even “supply the country” with meat and income. It is beyond clear public lands grazing is a fiscal black hole with staggering public costs and negligible provision of meat or income nationwide. 7.) Skinner offers no evidence to support his claim about which species are “more destructive” to the landscape, yet all are managed by human beings (inarguably THE most destructive species). No animals are at fault and have no say in who puts them where, or why. In any case, I would tip the scales in favor of a native vs. invasive species, especially on the public lands, and favor public wildlife over a handful of low margin for-profit interests that subsist largely on the public dole. 8.) What we have is a human, systemic problem, which needs humane, systemic solutions. Good points, Icy. Wild horses and burros are legally DESIGNATED on the Herd Areas and livestock are only PERMITTED. Definition of the word “designated” is to “set aside for” or “assign” or “authorize”. Definition of “permit” is to “allow” or “let” or “tolerate”. The wild horse and wild burro lands and resources are set aside for, and assigned and authorized for, the use of wild horses and burros whereas the livestock is only allowed and tolerated and let to use the public range resources. While commercial livestock grazing is permitted on public lands, it is not a requirement under the agency’s multiple use mandate as outlined in the Federal Land Policy and Management Act of 1976 (FLPMA). Public land grazing clearly is a privilege not a right, while the BLM is mandated by law to protect wild horses and burros. TheBureau of Land Management (BLM) has submitted a report to Congress “Management Options for a Sustainable Wild Horse and Burro Program” with recommendations on managing the wild horses and burros on our public lands as well as the 46,000 held in short and long term holding facilities. As a tax-paying American citizen, I absolutely 100% oppose all of this BLM plan. Why? Because the data provided to the decision-making senators and congress are false statements. Carter Reservoir Herd Area – a 1257% increase in ONE year. That would be a herd of 7 horses having 95 successful, surviving foals in one year. Centennial Herd Area – a 1281% increase in ONE year. That would be a herd of 40 horses having 487 successful surviving foals in one year. WHY is this so important? Because these are the false figures that BLM gives to Congress when requesting funding for wild horse and burro capture and management plans, including the current report to Congress “Management Options for a Sustainable Wild Horse and Burro Program”. The perpetrators (BLM employees) of these fraudulent population increases are in violation of Title 18 (18 U.S.C. § 1001). Making false statements (18 U.S.C. § 1001) is the common name for the United States federal crime laid out in Section 1001 of Title 18 of the United States Code, which prohibits making false or fraudulent statements, in “any matter within the jurisdiction” of the federal government of the United States. Per the US Department of Justice, the purpose of Section 1001 is to protect the authorized functions of governmental departments and agencies from the perversion which might result from concealment of material facts and from false material representations. 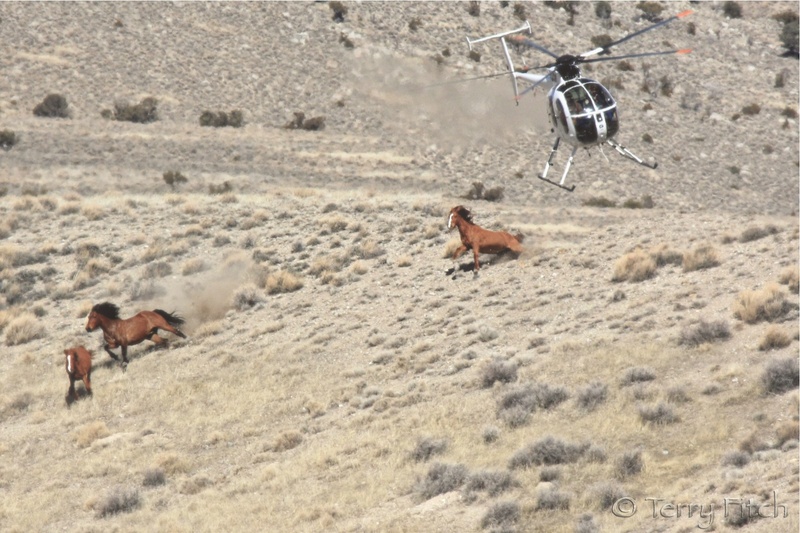 https://www.reviewjournal.com/local/local-nevada/roundup-nets-148-wild-horses-in-mountains-west-of-las-vegas/ wow, 17 were eithanized. 17. This is really getting out of control. Why not send those emaciated horses to a rescue or someone who trains WILD Horses professionally. 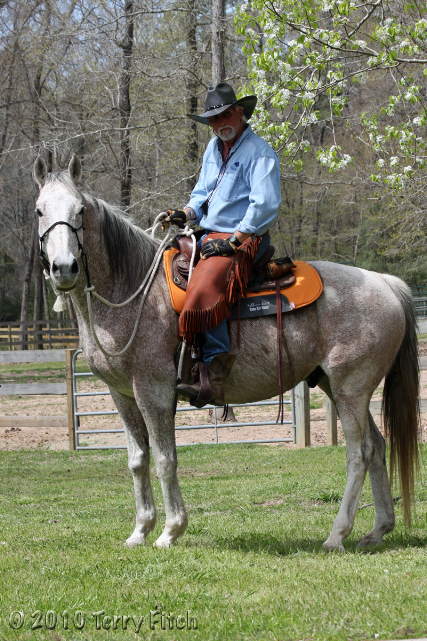 So to quote Mr. Skinner – its ok to kill off wild horses, because ” you can always stop”????????????????? That kind of nonsense doesnt doesnt require evidence or apparently any type of actual intelligence! This is sort of off the subject in a way – but picked up Dave Phillips book Wild horse country at the library, really not expecting to learn anything. Was just curious. However, the last chapter “a wild solution” was real interesting – about John Turner (who worked with Jay Kirkpatrick) and his research on mountain lion predation in Montgomery Pass wild horse herds. You know, the wild horses that have no predators????????????? His is not the only study – there were several & ALL of course have been ignored by the BLM. Too busy rounding up & warehousing horses. Then there is a paleontologist, Dr. Ken Rose, who studies “the first horse”. And I got that from Dave Phillips book! Didnt expect to get much out of it. Icy & GG – you probably have been aware of all that. It just boggles the mind – the stupidity & narrow-mindedness on & on & on. Never – Never attempt a different approach! Just keep on doing the same thing over & over – if only they can get the AML down to 27,000!! Thats the whole goal. Thanks GG – Phillips book did give much of that information. Obviously, yet one more subject that BLM ignores! Again, thank you – you & Louie & Icy always smarten me up! I doubt the current situation is the result of stupidity or even ignorance, but rather intentional obfuscation and deflection by which some few are profiting at the expense of the many, including those wild horses and burros losing their lives. The only way I see meaningful change having a chance is from action of Congress, which only comes from enough people speaking up and standing up, especially in an election year–as this one is. If we do nothing we will have next to nothing of Nature left, and no right to complain about it later. Make everyone earn your votes this year, folks! I see that some of comments did NOT get posted. Perhaps someone who has a facebook account would post this as a comment. In reality, western public lands managed by the Bureau of Land Management and Forest Service belong to the whole American public. These federal agencies authorize livestock grazing on public lands under a landlord-tenant relationship, in which the ranchers lease the exclusive right to graze the grass but receive no “rights” to the land itself. The public lands must by law be managed for multiple uses, including public access and enjoyment, wildlife habitat conservation, wilderness, watershed protection, and other uses under various federal statutes. Public lands truly belong to all Americans. Public land ranchers should not be painted as victims, given how pervasive land seizure sentiments and rebellion against the rule of law have become. Most Americans are beginning to see the cowboy myth for what it truly is: a distracting cover for an even greater land heist to turn even more of our national inheritance over to commercial exploitation. To get to the very core of the problem..
Why does public lands ranching have such a death grip on our natural resources? How is it that after all these years, little has changed despite overwhelming evidence of the damage? Why, despite all the laws and many, many good dedicated people in the government agencies themselves that have tried to effect change, nothing substantial can be done? Why is it that report after report submitted to Congress clearly outlining the mismanagement and malfeasance of livestock grazing to our resources, including wild horses and burros, is met with indifference as they not only continue to support livestock grazing but will viciously fight for the rights of ranchers time and time again? And how is it possible that just a handful of ranchers who produce less than 3% of America’s beef on public lands continue to wield so much power over our Nation? Well, the answer is, they don’t. The banks do, just like everything else these days and it’s the banks that continue to dictate American policy and cause Congress to ask “How high?” when they ask them to jump. It’s a shame that public land ranchers have continued to “bite the hand that feeds them” …the American Taxpayer. The Wild and Free Roaming Horses & Burros Act was created because they are much loved by the public and very much a part of our American history. WH&B Advocates and ranchers SHOULD be on the same side, as they are actually fighting against the same forces. they started it…and they just won’t listen. WASHINGTON- A new analysis finds U.S. taxpayers have lost more than $1 billion over the past decade on a program that allows cows and sheep to graze on public land. Last year alone taxpayers lost $125 million in grazing subsidies on federal land. Had the federal government charged fees similar to grazing rates on non-irrigated private land, the program would have made $261 million a year on average rather than operate at a staggering loss, the analysis finds. Here’s a link to that 2015 report, the grazing fees are now $1.41 (reduced as much in one step as the law allows this year). In 2017, CSU published info documenting the western half of CO showed private lands grazing rates at $30-40/head/month on native range. For comparison, it cost any person $7 per day to fish at our local state park, and $5 just to day hike on local USFS land. Grass fed beef sells locally for a premium, but mostly the tourists seem to be the only ones able to afford it. And doesn’t it make us wonder how many head of livestock the welfare ranchers would run on our public lands IF they had to pay $30-40 per month per head on OUR land? Of course in addition, they also receive farm subsidy payments. Colorado received $6.67 BILLION between 1995-2016 and that’s our money too. I think we can agree that if that money was to help mom-and-pop farmers over some rough times, that might be understandable but these are mostly large corporate ranches. And let’s not forget that in addition, these welfare ranchers can use their grazing permits as collateral for bank loans too. Wake up AMERICA Stand up now for our animals our land ourselves once it gone we are gone. God please help protect now amen.